All of us have dealt with a backpack at some point in our lives. Remember loading up that crisp new back pack in fall, with anticipation for another school year. 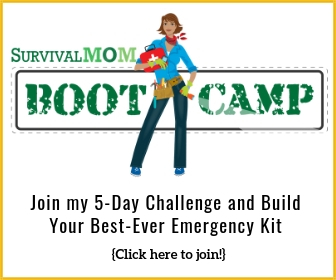 Backpacks are used to pack up emergency supplies as demonstrated in this article, camping gear and they are even popular to use as a diaper bag. One backpack we may not realize we carry is an emotional backpack. 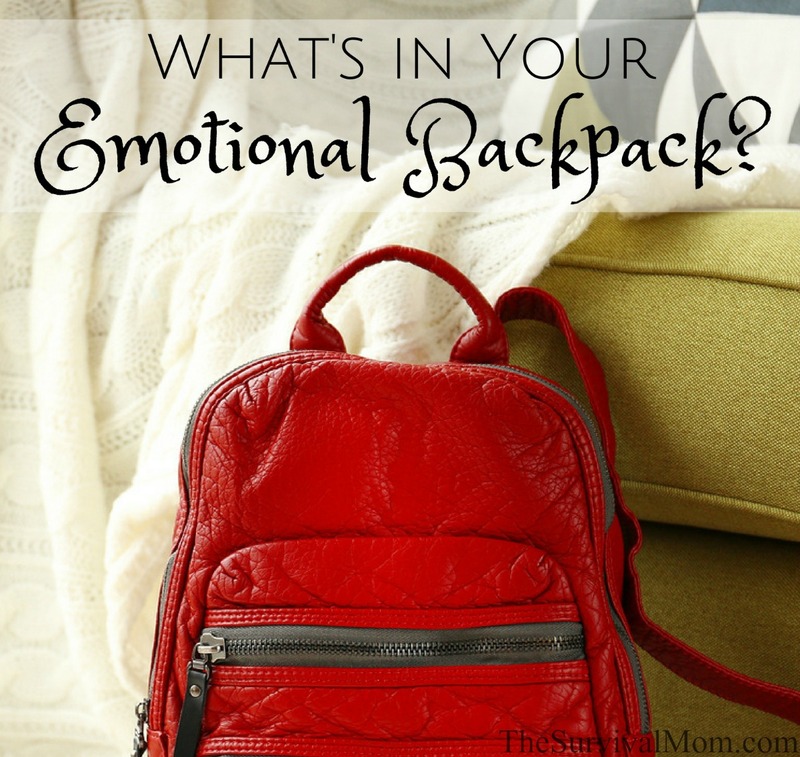 What is an emotional backpack? Picture yourself carrying around an invisible backpack, every day. Inside that backpack are all of your life’s experiences. Some of these items are positive and light, while others are negative and heavy. What is in your backpack and how heavy is it? This is a particularly important consideration when it comes to survival, since a big percentage of surviving is mental. This lesson really hits home in one of my favorite survival books, The Unthinkable: Who Survives When Disaster Strikes — and Why. If you picture life as a long journey, your emotional backpack is right there, hanging off the back of your shoulders every day, no matter where you go. Your responsibility is to keep the backpack light enough for you to keep moving and progressing. Easy enough right? Not always so. 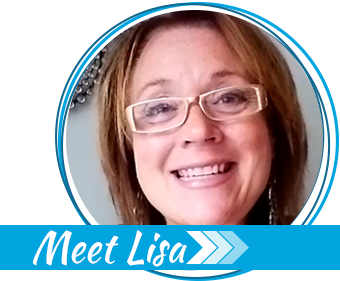 We encounter personal setbacks, illness and death of loved ones, difficult co-workers, rude neighbors, unforeseen disasters and struggles in relationships. These things tend to weigh us down if we do not handle them when they happen, as my family did a number of years ago when we hit rock bottom. It seems easier to stuff them down in the backpack and worry about them later. This makes our packs heavy and our journey slow and miserable. We are not able to help ourselves or others if we are overloaded and miss out on the everyday joys of life. 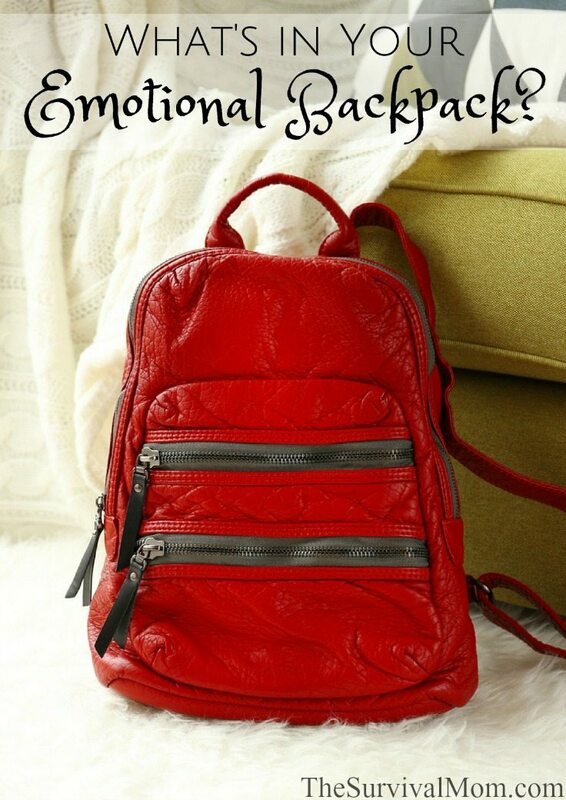 To keep moving and be prepared for anything life throws at you, a light backpack is a must. Let’s look at what you should have in your emotional backpack. A good support system. Friends, a spouse, family or pastor. Surround yourself with people that share the same values that you do. These people should be someone you can confide in when needed. Their advice would aligned with your beliefs and they would have your back in a crisis. If you have a hard time making and keeping friends, this book by one of my favorite psychologist authors, John Townsend, may help. Making close friends isn’t an easy thing for most adults. Healthy habits. Getting proper sleep and nutrition keep your body and your mind running in top shape. Find an exercise or activity that you enjoy doing. Some examples could be nature walks, biking or yoga. This will clear your mind and give you energybut are also vital components of being a prepared person. Get as healthy as you can and as quickly as you can before any type of disaster strikes. By the way, a sound night’s sleep is a vastly under-appreciated component of being survival-ready. Uplifting books and music. Have some reading that is positive, educational, and enjoyable — not just survival and prepper manuals! Reading can be a healthy escape from the stressors of life. Science has proven that music can alter our moods and brain activity. Upbeat music can give motivation and momentum, tranquil music can calm when anxiety creeps up and the simple act of singing will lower blood pressure, reduce pain and give a boost to the immune system. Develop an attitude of hope, in all things. Life may not work out the way you wanted it to, but it will work out and will get better. Many find hope in God and through prayer. Go back to the basics of your belief. Lean on your faith. Look at the positive things working around you. Focus on what is going right and the opportunities that are around, then build your hope on that. One wise pastor said, “When nothing in your life is making sense, go back to what you know for sure.” Is that the love of your husband or wife? The close relationship you have with a friend? The fact that God loves you? Whatever it is, go back to what you DO know for certain and spend time deeply appreciating those facts in order to get grounded so you can move on. Spiritual resiliency is a huge factor in who survives and who doesn’t. Have hobbies. Whether it is cooking, crocheting, shooting or fishing. Discovery an activity that relaxes you and makes you feel a sense of accomplishment. Not only will you have a skill to lean on, but you can teach others. Invite family, friends to do the hobby with you or join a group that participates in the same activity. 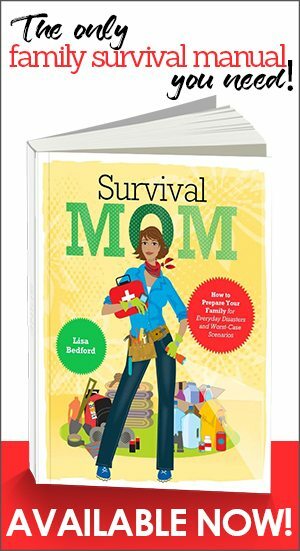 The Survival Mom Skill of the Month page will give you dozens of ideas, if you’re not sure where to start with choosing a hobby that is both fun and practical. You cannot avoid heavy items in your backpack from past, deep hurts, rejection, and traumatic events. They are a fact of life and will be dropped into your backpack, sometimes when you are least prepared for them. If you do not put them there, someone or something else will. The goal is to not let them stay there. Take any heavy item you are dragging around and analyze it. What do you need to do to make this light? Some things we have control over, others we do not. Be careful to only invest emotion and time in something you have some control over. After Hurricane Katrina, thousands of families moved to other states. Many of these families embraced this move as an opportunity to go back to school, learn a new trade, create a new start or be closer to extended family. In one instance, a refugee from Katrina founded an incredibly successful business in Houston, his new home. They could not control the hurricane, they could control how they viewed their opportunities. Show kindness to those who offer help you. Teach your family to look and acknowledge the good that is around. Accept and adapt. Be willing to take a look around at your new reality and just accept it for what it is. This is where you are now. How can you make the best of it? Survival Mom liked this saying so much that she created a t-shirt just to remind herself how to handle tough situations! Bless and release. There will be people and situations that bog you down because of a past experience. In one case, a former friend suddenly cut off her contact with me. I never knew what had happened, reached out once or twice but got very curt responses. So, I played and replayed in my head what I wanted to say to her and how I would defend whatever it was that had caused the distance. After a few months, I decided enough was enough. I wrote a short email, wishing her the best and letting her know, nicely, that I was moving on, and guess what? She hasn’t crossed my mind since — until I was writing this article! We can bless and release those in our lives who bring nothing but negativityand pain. We no longer have to be the monkey in their circus. Dumping a heavy item might require you to mend a relationship, apologize or forgive someone. The relationship may not be as it was, but you have done your part to make it better. Just forgiving a person, even if it just in your heart, is healing. Sometimes the heavy item that needs to get dumped is a person. Toxic and negative people can be one of the heaviest items you drag behind you. They have little regard to your emotions and their influence in your life. In fact, one author calls them “emotional vampires.” If a person is continually causing emotional turmoil, it may be time to decide if that person should be in your life. Bad experiences. We have all laid in bed at the end of the day and played out in our mind what we would do or say differently, if given another chance. Unfortunately we cannot go back in time, but we can learn. To lighten your load, take tough experiences and make it your best teacher. Learn everything you can from trials and stumbling blocks. Journal about it, share what you learned with a close friend, glean as much knowledge as you can from the experience. Try to compare it to other times in life where you have been given a lesson and did not learn it the first time. It is so much easier to learn from the mistakes of others, but if you are going to make your own, and you will, you might as well learn all you can from it. The knowledge you gain will be beneficial in your future, and you can pass it on to your kids. Maybe they’ll listen!! We are all subject to stress, it is the overwhelming stress that does us in. Learn how to recognize it when it shows itself. Note the physical reactions you have and pay attention to the thoughts that go through your mind. Some people carry stress in their lower backs, some in their necks, shoulders, or stomachs. Most daily stress can be worked off at the gym or by other means. It is the larger stressors and circumstances in life that require more effort. When the big stuff happens, you will need to rely on the positive items in your emotional backpack. They are what is going to get you through. Call a friend that you feel comfortable talking with or read about people that have gone through a similar circumstance. Have your backpack full of “tools” to help you deal with the big pressures of life. Develop a list of personal priorities. Determine what is important to you. Picture yourself on your death bed. What would your thoughts be about? Who or what would you want to be surrounded by? That is your priority list! If something isn’t on your list, it is probably not that significant. This list is a guideline for your and where your priorities are. The items on the list are where you put your time and energy. Don’t spend your effort on things that don’t give enjoyment or benefit back to you. Remember, this backpack is yours, not anyone else’s. Protect yourself by protecting your pack. Do not allow anyone else to dump their anger or nastiness into it. Handle issues when they first happen. Look to others for help if needed. As you travel through life, if you keep your backpack light and care for it, you will develop self-reliance and a resiliency that will help you with the heavy items that will certainly come along. Sometimes it’s not the big stressors…they often seem to have an end. Often it is the little day after day things that take it’s toll. They seem more constant and wear you down. But, they can be the easiest to deal with. What stresses you daily? Running around in the morning looking for stuff? Set it out night before. Traffic on way to work? Leave a few minutes earlier. Little things can be the straw that breaks you but can be dealt with effectively when recognized. I’m still working on spme of these small things but I have come far. Makes the bigger things a little easier. What kind of prepper items did you pack with you and your family on your trip to Iceland? Loved this article. It was so helpful. I have been dealing with some heavy things that happened in our family that caused heartbreak, stress, and also closeness and loyalty with some family members while others blamed us for something we could not control or do anything about. This was 3 going on 4 years ago and one of my grown child will have nothing to do with us. Total heart break. I go over and over what any of us could have done different, when there was nothing we could have done. Since it was totally out of our hands. But I have two other children who are totally loyal, and also family that has stuck by us. So thanks again on how to handle the baggage. I liked this article, very valid and true, but It wasn’t quite what I was looking for. However, I kind of doubt what I’m looking for will be anywhere online because it’s a kind of personal information. 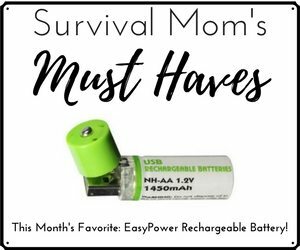 I’m elementary school aged, and I want my parents to make a survival kit for our family (me, three siblings, mom, dad), but they won’t exactly make up their mind. They say ‘We were at one point working on a survival kit. It probably needs updating, though.’, but that’s not helpful! I’m not going to be rude or disrespectful towards my parents, but deep down I’m thinking ‘Okay, so can we update it? I’d like to be prepared in case of an emergency!’. So, does anyone have any suggestions for how I can get them to comply and update it without being rude or disrespectful in my asking? Sophia, cheers to you for thinking ahead! I hope you come back to this page and find my response. A good start: “Mom, Dad, I want to talk to you about something serious and here’s why.” (They’ll think it’s about THE talk and will be relieved when it isn’t!). Do you get an allowance, weekly or monthly? Or cash gifts for birthdays? Ask Mom or Dad to take you to the local sporting goods store to buy some water purification tablets. When they ask why, explain. It doesn’t have to be an apocalyptic thing – my husband and I (and two dogs) were not prepared for eight days without electricity during the Big Ice Storm of 1998 in central Maine. Thankfully, we had enough cobbled-together resources to get through it. Now, I have ten ways to cook a meal. Good luck, dear! Sophia – what a forward thinking young lady! I’m not quite sure of your emotions about being prepared, but I imagine there must be some element of fear – even if a small amount. If you tell your parents that – again, not sure if you watch/hear the news etc – you don’t want to be without supplies because of disasters, for example, maybe that will help your parents see that they need to think about how the daily world/local events might be impacting you. I don’t know where you live in the country, but weather conditions this time of year are pretty bad for most of country. Even explaining that to them might be just the wake up call they need. I agree with the previous response to your comment – take the initiative and it might kick them into action. And good for you to not want to be rude – too many kids don’t care about that these days.